In 1938 (or possibly 1939) there was a plan to settle European Jews facing rising anti-semitism in the Kimberley region of Western Australia. It never eventuated. More than a century prior, and a good 80 years before the establishment of modern-day Zionism, Mordechai Manuel Noah attempted to establish a Jewish State, called Ararat, in Grand Island NY. He failed to make it happen. Resettlement programmes that also never transpired include a Jewish homeland in Fugu (Japan), Madagascar (East Africa), Port Davey (Australia again), the far east of the Soviet Union, and British Guiana. 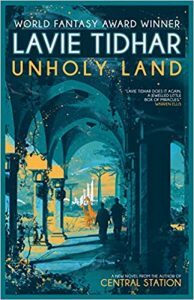 So many possibilities, so many alternative histories, yet it’s the 1903 pro­posal to create a Jewish State in Uganda, mooted by Joseph Chamberlain to Theodore Herzl, that forms the basis of Lavie Tidhar’s provocative and brash new novel, Unholy Land. Palestina, now more than a century old, contin­ues to confront the legacy of its birth. In response to an increasing number of terrorist attacks, the government constructs a wall to keep out the descendants of those Ugandans dispossessed when the country was established. Amidst all this arrives Lior Tirosh, a pulp fiction writer of minor fame and fortune, who has come back to his birth country to visit his ailing father. 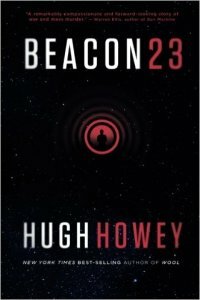 Before he has a chance to unpack, Lior witnesses a terrorist attack involving a bus and a suicide bomber dressed as a Chasidic Jew, discovers that his niece has recently gone missing, and comes under investigation from the secret police – led by the enigmatic Special Investigator Bloom – when an old Army friend is found dead in Lior’s hotel room. That’s only the beginning of the weirdness. 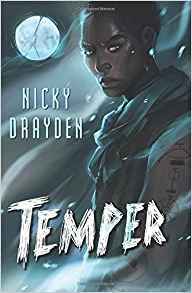 As he starts searching for his niece, taking on the role of the pulp detec­tives from his novels, Lior begins to experience fragments, vague memories of a reality, a life he’s never lived. 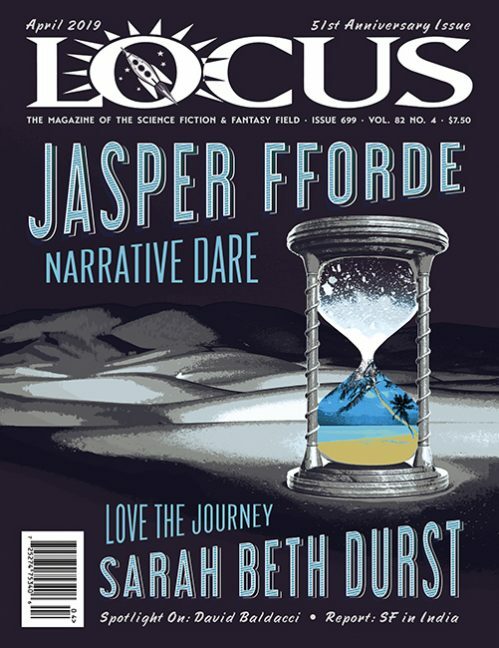 Trains travelling across the frozen plains, spill­ing out human cargo onto the ice, great gates, barbed wire walls, watchtowers, soldiers. Jews with yellow stars of David on their arms. A great fire, burning, a fire that never stopped. Desperate to avoid this horrifying prophecy, Wilbusch chooses Uganda. Six million Jews, therefore, survive the gas chambers and yet, in their stead, hundreds of thousands of Ugandans are dispossessed. The establishment of a Jewish homeland is consequently framed as a Zero-Sum Game, an act of colonialism where the indigenous population loses out to the invading force. As a Zionist, I can’t adequately articulate how this makes me feel, how it strikes at the essence of my identity. My preference is to believe in the future depicted by Tidhar in his mosaic novel, Central Station, where Jews and Palestinians live peacefully, side by side. 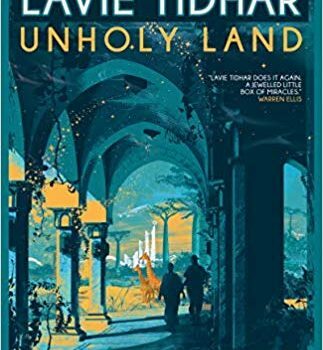 While I found the subject matter challenging, there’s no denying that Unholy Land is a wildly inventive and entertaining novel that moves at a breathless gallop. 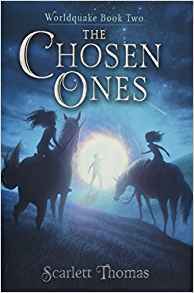 If the rules that underpin the Pattern – Tidhar’s multiverse – didn’t entirely make sense to me, there’s a conviction to the storytelling that pulls you through the narrative. In the introductory piece to “Art and War”, Tidhar makes the observation that because of his niche interests, “I’m kind of resigned to a sort of obscurity by now.” It’s true that Tidhar will unlikely be a household name, but in our neck of the woods, he’s already staked a claim as the genre’s most interesting, most bold, and most accomplished writer.